Wind farms are turning off their turbines when it’s windy, and we’re paying them to do it. But why? Constraint payments are the name given to the compensation paid out to large wind farms when the government asks them to turn off their wind turbines to avoid overloading the grid. At the moment our national grid is completely unable to deal with all the energy generated by wind turbines when the weather peaks. On a normal day it all works just fine, but if we’re hit with particularly stormy or windy weather and all the wind turbines are working at max capacity, the power overload would fry our system. Not good news. That’s why we have to to switch some of them off. However, large wind farms create revenue based on the energy the generate, and therefore asking them to simply turn off would make a massive dent in their earnings. This in turn would make wind turbines a lot less attractive for businesses to build, and slow the progress of new wind farms and our growing renewable energy generation. The solution is constraint payments – a financial incentive from the government for wind farms to switch off their turbines at times of peak wind. How much are constraint payments? In 2017 alone UK taxpayers funded £108 million in constraint payments to wind farms in order to turn them off in windy weather. This is around 40% more than they would make if they were generating energy as normal, which seems a little intense. Why are we still building more wind turbines? Because most of the time, on the average British day, more turbines is a good thing – it means we’re getting every bit of energy we can from the wind. It’s only when the weather gets unseasonably windy that we have a problem. Besides which, if we can upgrade the grid to be able to handle the energy surge then we will want all the turbines we can, and no more constraint payments. What can be done to eliminate the need for constraint payments? What the UK really needs is far better battery storage system. 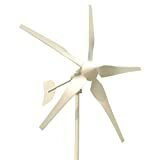 This would allow us to channel the extra energy away from the grid and into storage for use on days without wind. Some innovative battery storage solutions are already underway. My particular favourite is the Loch Ness hydroelectric project, an enormous 2.4 gigawatt-hour pumped storage hydroelectric project with the potential to double the capacity of Scotland’s renewable energy output.